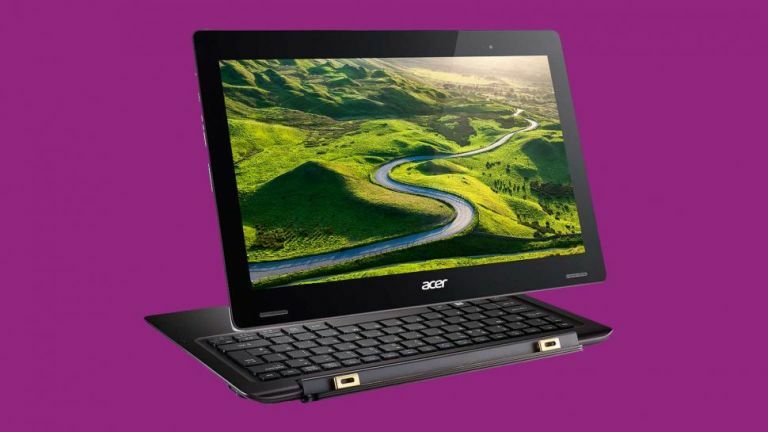 Right on cue, Acer has shown off its latest and tastiest devices at CES 2016. The first is a convertible laptop called the Aspire Switch 12 S notebook, which is tickling our streaming tastebuds thanks to its optional 4K display (Full HD is also being offered). Whichever display resolution you pick, the Switch 12 S's screen can be detached with ease using its latchless hinge, allowing you to use it as a big tablet or prop up against a surface for watching movies, streaming TV or playing games. It's not a powerhouse: Intel's Skylake Core M7 processor can be found under the hood, so you can forget playing The Witcher 3 on it. However, that chip should be more than sufficient for your everyday computing tasks - from surfing the web to bashing out documents and some light multimedia editing. It features some impressive connectivity chops thanks to the inclusion of USB-C and Thunderbolt 3, along with a HDMI port and a micro SD expansion slot. You've got the option of 4GB or 8GB of RAM and either 128GB or 256GB of storage. The Aspire Switch 12 S hits the shelves in February starting at $999, which roughly converts to £677. Acer has also lifted the lid on something you're going to see a lot more of in 2016: a USB-C monitor. Its new H7 is billed as the first display with USB-C connectivity - the same port used on Apple's contentious 12-inch MacBook. It also features HDMI 2.0, meaning you'll be able to display its full 2,560 x 1,440 (QHD) pixel-resolution with a regular HDMI cable no matter how old your laptop is. The H7 is available in 25- and 27-inch sizes and supports 100% of the sRGB colour gamut according to its maker. It starts at $499 (around £338) when it hits the shelves in February.